Online shopping is quite the rage these days because obviously, everyone loves shopping from the comfort of their couch. The trend of shopping from online websites has grown at an impressive pace over the last few years. Not only the number of online shopping websites available to Pakistanis has increased, but the quality of services provided by these websites has also improved. This has led to a greater number of consumers trusting and making transactions with these websites. While there are tons of online shopping websites available in Pakistan, here are the 5 best and most trusted ones out of them. Daraz.pk is the largest online shopping website in Pakistan. It provides an amazing online shopping experience to their customers, with an unparalleled customer support, user-friendly website and mobile application, wide range of products and considerably low prices. 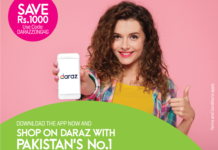 Daraz.pk contains products including clothing items, footwear, cosmetics, groceries, electronic appliances, smartphones, sports equipment and much more. Apart from everything, this website stands out due to its excellent customer support and convenient return policy. It also offers multiple payment options including Cash-on-delivery, easy pay, jazz cash, Visa and MasterCard. Homeshopping.pk is another Pakistan-based online shopping website that provides an excellent online shopping experience. Homeshopping.pk is highly trusted and a well-reputed shopping website. This website contains a wide variety of gadgets and electric appliances including smartphones of every brand, tablets, smart-watches, DSLR cameras, LEDs, Laptops and accessories. 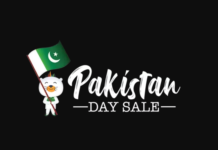 Homeshopping.pk provides genuine products, 7-days replacement policy, COD and a customer support second to none however, lacks behind our due to limited range of products available. Nevertheless, I’d recommend this website over any other if you’re willing to purchase gadgets or electronic devices/appliances. Another standout feature of this website is their Price-beating policy, which ensures that you can purchase a product for the lowest possible price. Telemart is our choice as the third best online shopping website in Pakistan. Telemart is also amongst the largest and most trusted online shopping websites. You can find products including laptops, mobiles, electric appliances, games and other similar stuff. Telemart is right up there in terms of quality of service and authenticity of products however, the range of products available at Telemart is quite limited. You’re less likely to find the product of your choice at Telemart however if you do find it, making a purchase from Telemart is a pleasant expense in terms of price and convenience. Telemart also exclusively sells gold-plated iPhones, Macbooks and Apple Watches, which might be a plus point for a certain group of people. You can also apply for their discount card and enjoy discounts on Telemart products and various eateries. Telemart customer support is fairly good but not as responsive. Same goes for their return and replacement policies, which are less convenient compared to other alternatives. ishopping has grown and improved a lot lately and has made to our list due to many reasons. Initially, the website has a convenient and user friendly UI, making it easier to browse your desired products. Ishopping’s customer support is right up there as well. They’ve got quite a responsive and helpful customer support, adding to their credibility. In my opinion, the websites stands out due to their exclusive and unmatched prices. As per my personal experience, ishopping.pk provides the lowest prices for various products, giving it a competitive edge over other alternatives. The range of products available at ishopping is wide enough as well. They got tons of products ranging from mobile phones to laptops to gaming equipment to clothing. The only let-down for this website is the authenticity of the products as not all products available at ishopping include official warranty; instead, they provide their own personal warranty which is a bit disappointing. Even though ishopping is a comparatively new venture, it has massive potential. Shophive is a highly trusted online shopping website. The website mainly offers products such as mobile phones, laptops, gaming consoles, electric appliances and similar stuff. Shophive is right up there in terms of authenticity and their products are original and genuine. Shophive provides official warranties with most of their products, giving them a competitive edge over their competitors. While they lack in terms of the range of products, Shophive has never compromised on the quality of products and services. They provide COD all over Pakistan and instant delivery services. They’ve also amended and improved their website UI, return policies and customer support lately however, the prices at Shophive are comparatively higher and that certainly is a let-down. Good collection of online shopping websites, if possible please include_________ it is one of the largest store for online shopping website in Pakistan.